Vinton Lions Club donates $4000 from the proceeds of their annual Chili Supper. Shown in the photo (l-r): Allen Stell, Allen Woodhouse, Mike Baron, and Roger Uthoff. 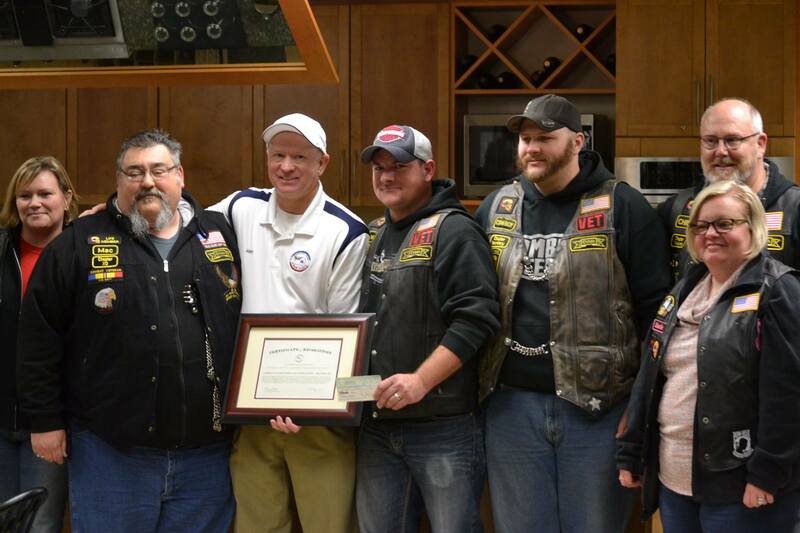 Combat Veterans Motorcycle Association preset check of $3000 raised from their Motorcycle Run. Special thanks to Sweet Rides for Charity for donating $5250 during their September 9th ride. Pictures is Allen Stekl, Jim Davis, and Missy Henrichsen. 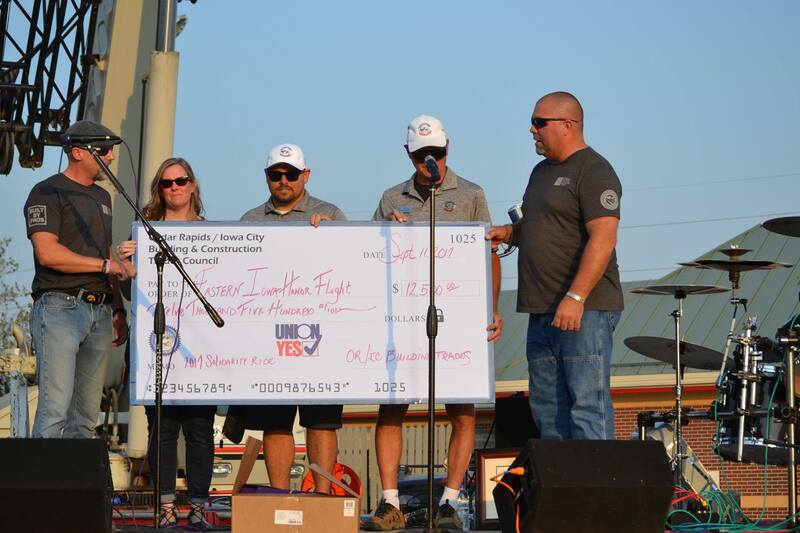 Special thanks to the Cedar Rapids/Iowa City Building Trades Council for donating $12,500 from their Motorcycle Run. 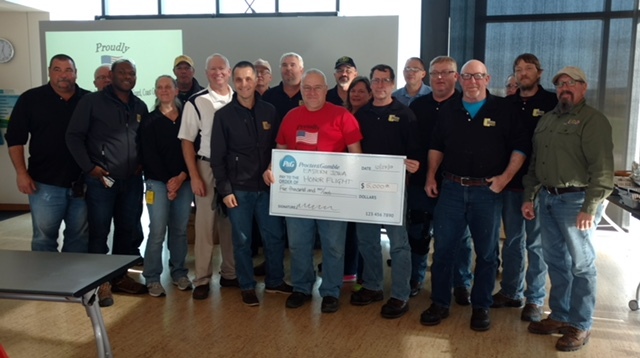 Special thanks to Proctor and Gamble for donating $5000 during their Veteran’s Appreciation Luncheon. 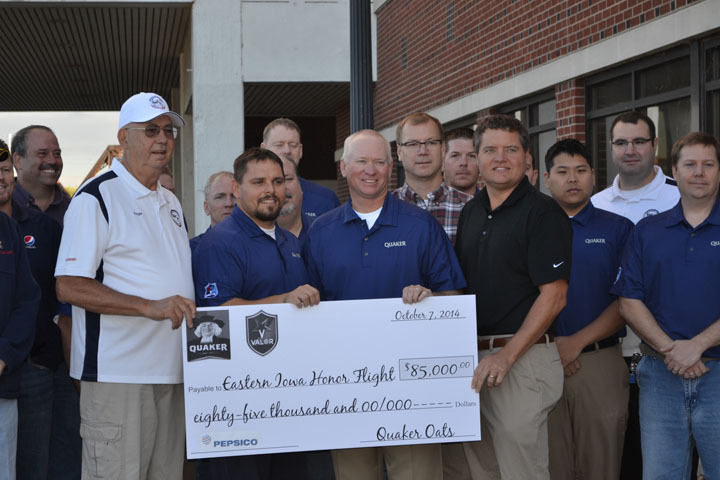 Eastern Iowa Honor Flight was presented a check in the amount of $85,000.00 from the employees of Quaker through fundraising efforts of the Valor Group. 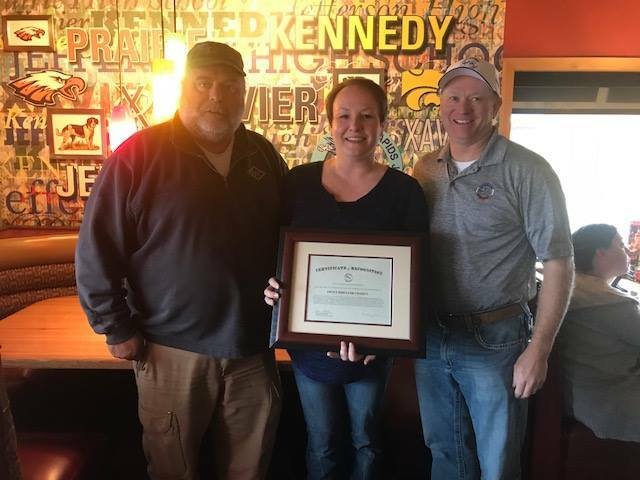 These are employees of Quaker who are veterans, and are driven to make sure that as many veterans possible get the opportunity to travel to see the memorials in Washington, DC dedicated to their service and sacrifice. 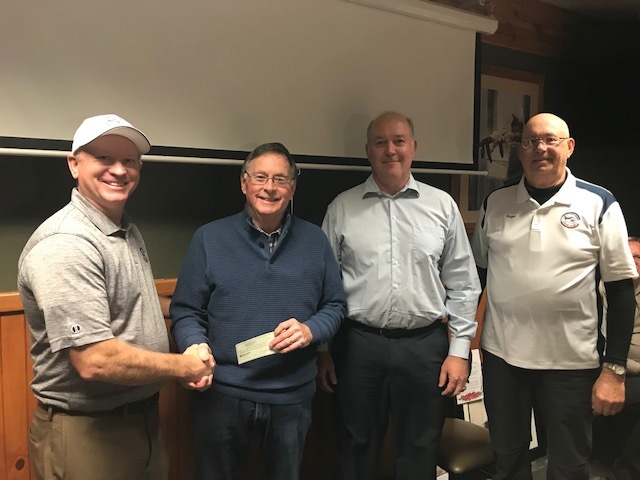 Our thanks to Allen Stekl, Jason Brandon, Steve Blake, the members of the Valor Group, and the many employees of Quaker, and their parent company PepsiCo for their company match. 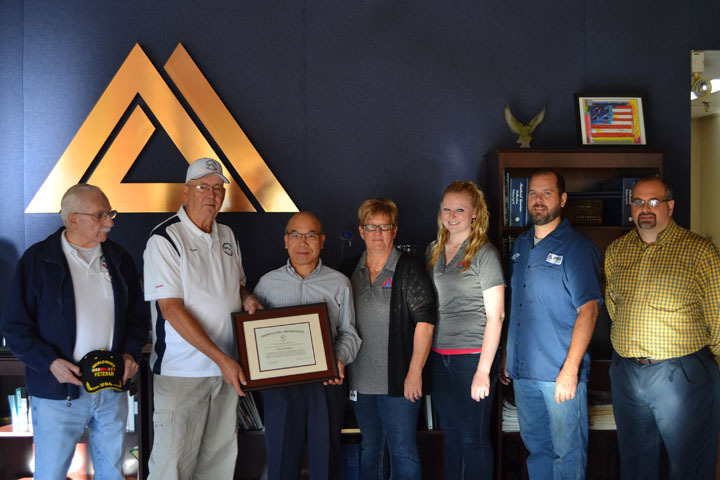 We stopped by PMX Industries to present the company with a certificate of appreciation for their recent donation of $20,050.00. Company President S G Kim accepted for the company on behalf of the employees. This certificate of appreciation was presented to the one entity who is a vital supporting component of our operations. Without them and their support, our flight operations would get very interesting. 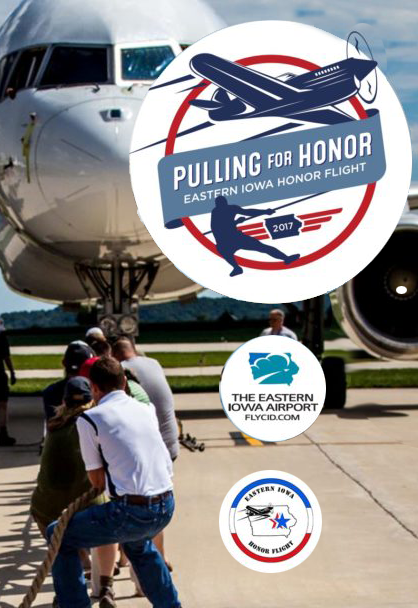 We stopped by the Eastern Iowa Airport to thank them for their continuing partnership and support. 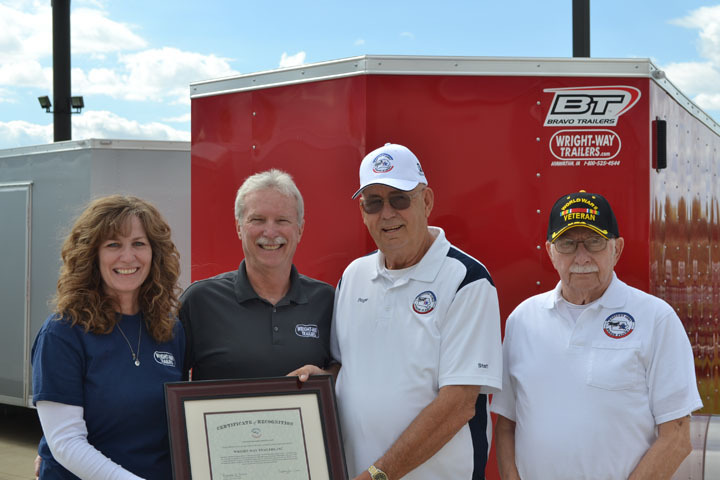 The Wright-Way Trailer Company of Hiawatha, IA recently provided the Eastern Iowa Honor Flight with a trailer for our use until such time as we are no longer in business. This greatly increases our logistics ability. 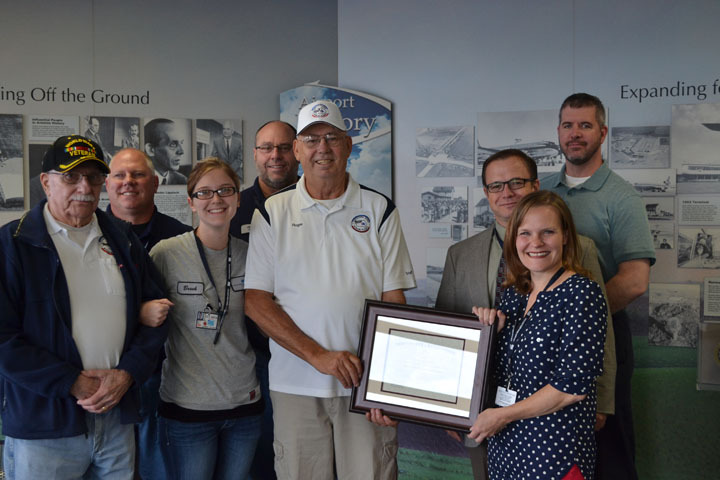 So we stopped by to thank them, and also present them with a certificate of appreciation.